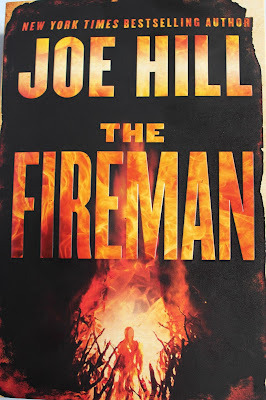 THE FIREMAN is the first book I’ve read by Joe Hill and it definitely won’t be the last. I chuckled, cried, and needed to take a small break during the end because my stomach was queasier than when I went deep-sea fishing during a Caribbean thunderstorm. In other words, THE FIREMAN was bananapants! Before I get started, I’d like to talk about the kind of book this is. Goodreads users define it as Horror/Fiction/Science Fiction/Fantasy/Thriller, which I guess it is, but it’s also so much more. At first, I was intimidated by the 700+ pages (the book actually weighs over a pound; I know because I weighed it myself for a bet with my hubs that I won, haha) but now that I’ve finished it, I understand why Hill needed the length. 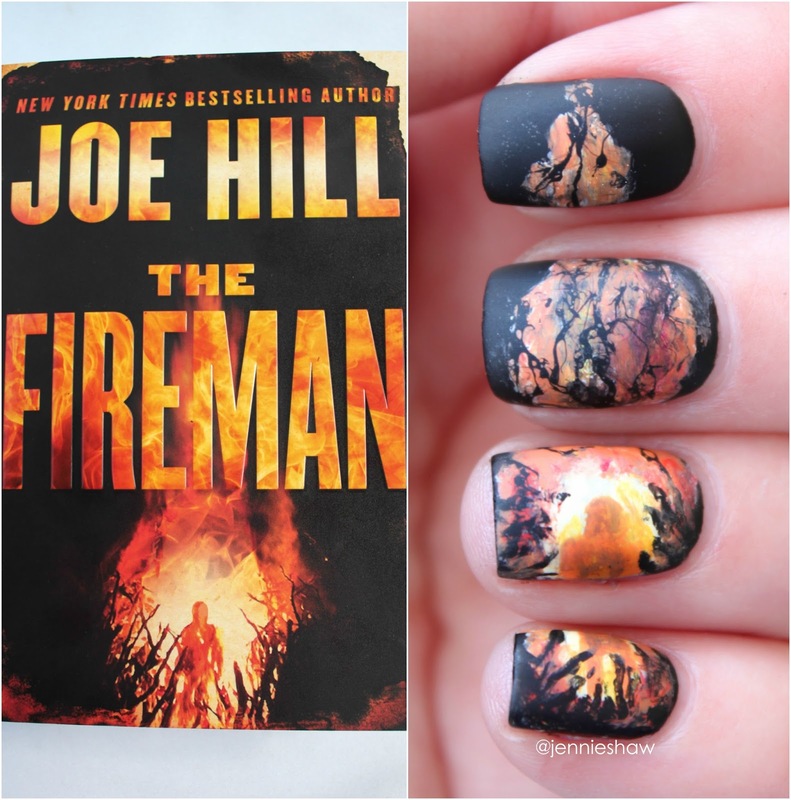 Because THE FIREMAN isn’t a story that fits neatly into a box. It isn’t a book about one main character, or even two. And there isn’t just one plotline driving the action, there are too many to count. That adds up to a book that has a little bit of everything—surprise, love, betrayal, joy, deception—so it doesn’t matter what genre you like to read because good stories are good stories. And the best stories are ones that speak to us all. 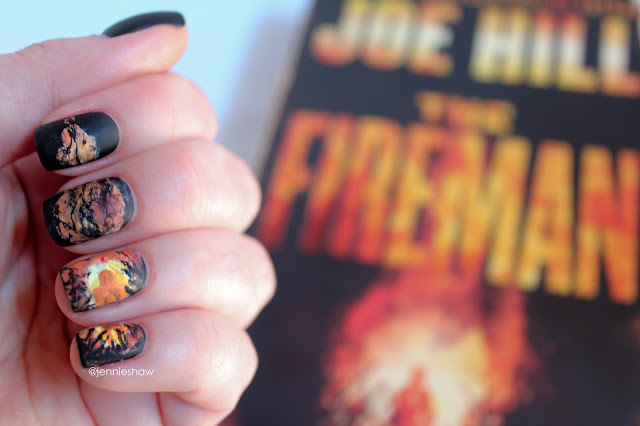 THE FIREMAN is one of those stories. Within the first chapter, I was in it for the long haul and not once, did my attachment to Harper wane. Her journey brought out the best and worst of her (sometimes both, simultaneously) and I was so absorbed by Harper’s voice that I didn’t notice my fingers digging into the sides of a few pages, leaving permanent wavy indents. And for a reader who goes to great pains to not crack spines, that’s saying something. Naturally, there’s a LOT that happens which isn’t touched upon with the jacket description but I’m not a reviewer who includes spoilers. A serious bummer in this case because all I want to do is slip on a pair of jammies, pour a glass of strawberry lemonade, and talk all about how much I loved this book. Because things happen, guys and gals. Things that lead to events. And those events gave me feelings. Oh so many feelings. And the characters! There are so many! And all of them are flawed, scared, and human, which means that I loved them. Err…except for Jakob and a handful of other nasties. Because obviously. 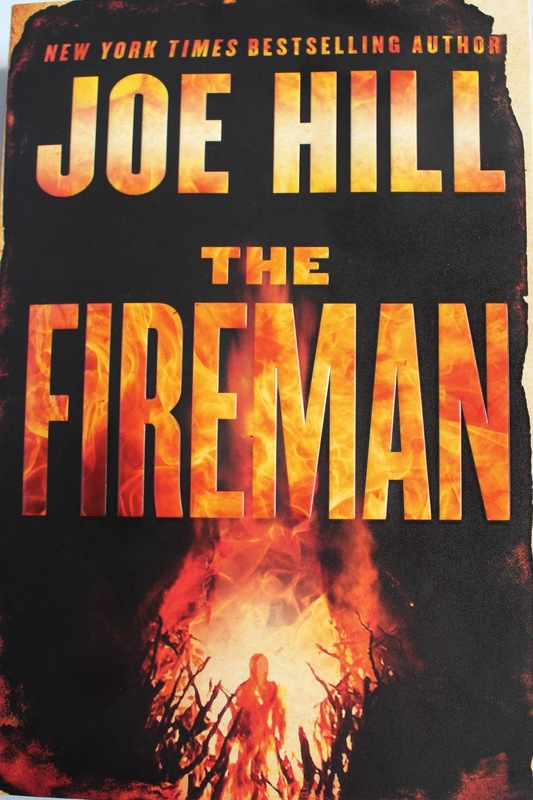 So what I need you to do right now is head on over to your bookseller of choice and pick up a copy of THE FIREMAN. Then, fake the stomach flu so you can spend the weekend reading. The good news is that because it’s a long weekend, you have a chance of finishing it. Because once you start, you won't want to stop. OPI - A Good Man-Darin Is Hard To Find, My Twin Mimmy, In My Back Pocket, Black Onyx, Alpine Snow, and Matte Top Coat. you so have me wanting to read this book now. Oh my gosh that sounds so good! I love intense genre-defying stories (like Lauren Beukes' Broken Monsters). I'm seriously intimidated by 700 pages, but glad to hear the tension stays consistent. On my wishlist it goes!